Wordless Wednesday: what the Ech! The garden benefited from the rain on Saturday, a freshness has returned to the planting after a long dry spell. Taken this morning before the sun had broken through. 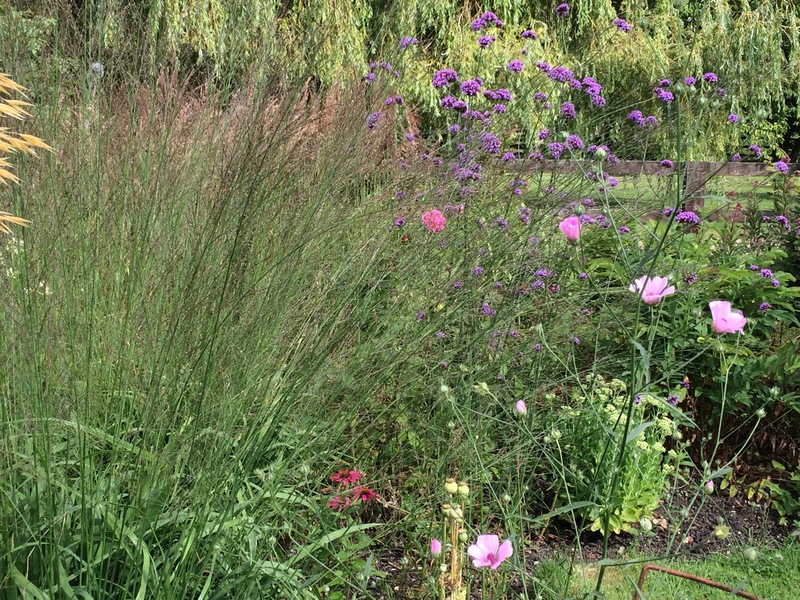 There is a pink haze thanks to the verbena and grasses. The Echinops ritro are peeping above. All tall and full. 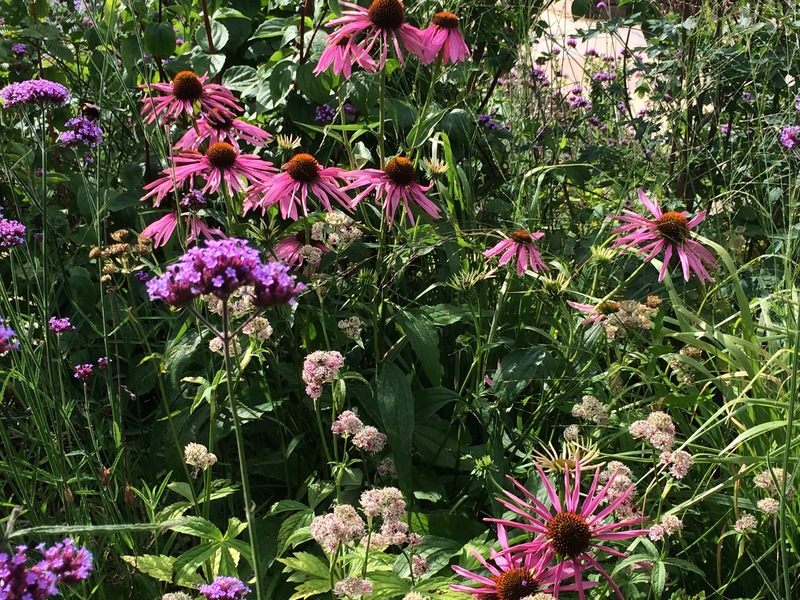 I must just show off my Echinacea in the opposite border. That was my quick dash round before work just before the sunshine emerged. Now take a visit to words and herbs Cathy and catch up on her view. 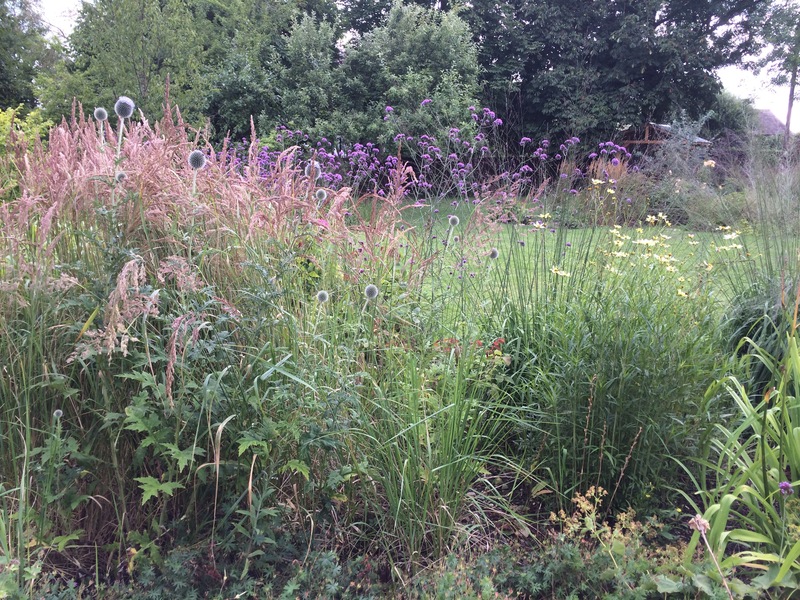 I have not managed to update my Tuesday view for a couple of weeks and the main difference seems to be the bleaching of the grass Calamagrostis Karl Foerster. 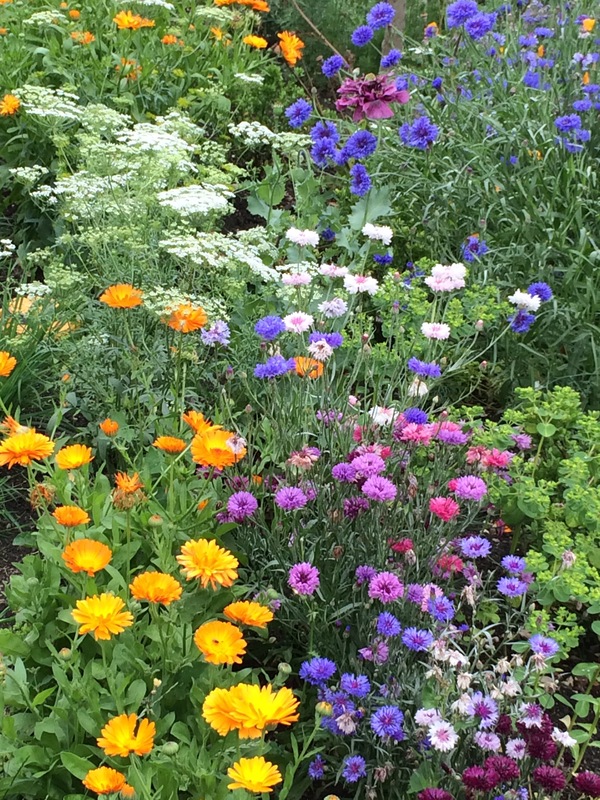 The Tuesday View is hosted by Cathy at https://wordsandherbs.wordpress.com It is a meme for us to watch and share the development and seasonal changes to an area in the garden. If you would like to join in please be sure to add a link back to Cathys blog. 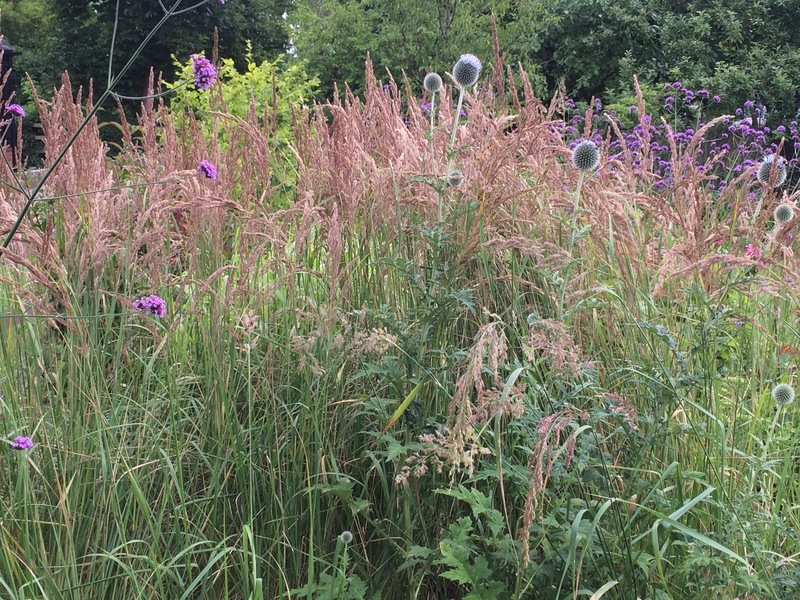 Eupatorium, Joe pie weed is now showing its full colour and has reached a height of about 1.5m. I have had to water it the last few weeks as it shows droopy leaves when it begins to dry out. The purple of Joe pie sits happily with the ever delightful Verbena Bonariensis. 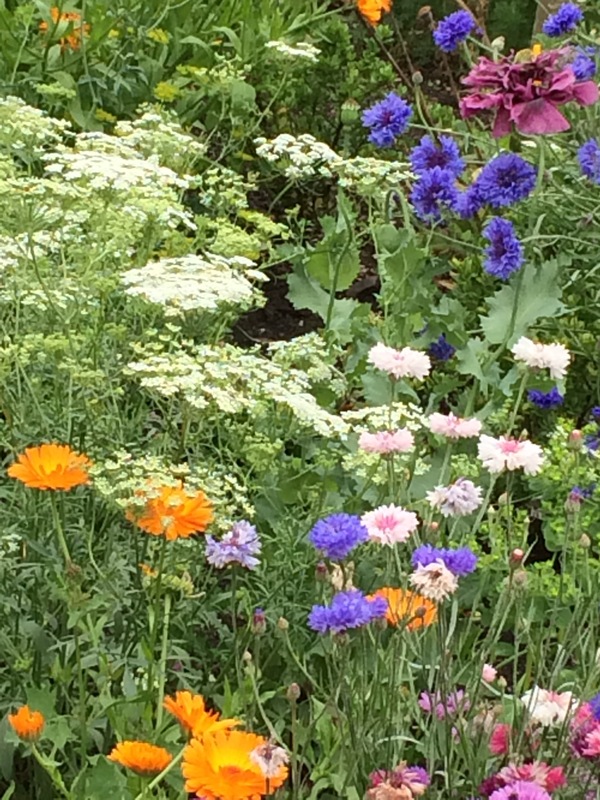 The Verbena has self sown itself around the beds and is suggesting a take over bid. The magnificent Thalictrum Elin has finished flowering and its remains tower above. 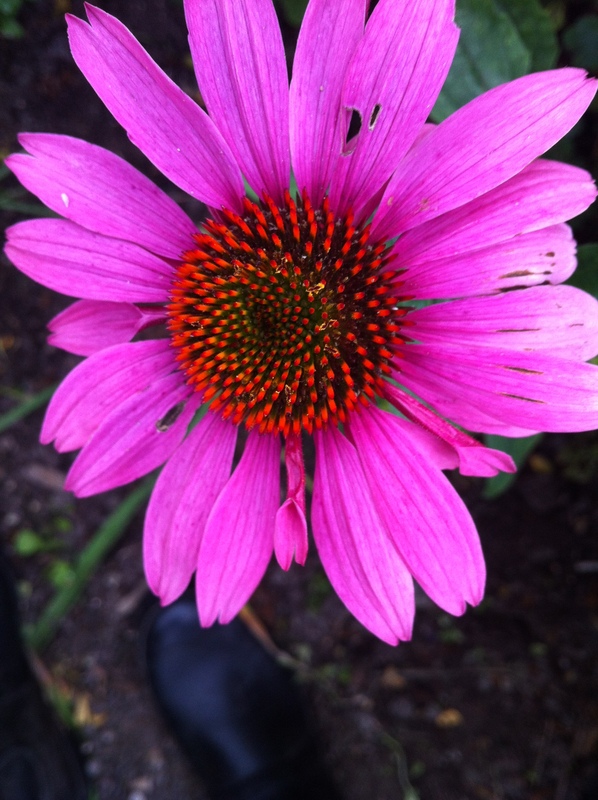 Since last time I posted the Echinacea has opened its petals to reveal its lovely form. I love a daisy shape flower, don’t you? The forecast remains pretty good for this week so I hope you get a minute to sit in your own garden and feel the grass tickle your toes. One final thing I must show you, not in this view but in the garden cutting beds. The scent of this Lily is so powerful I bet you can almost smell it. 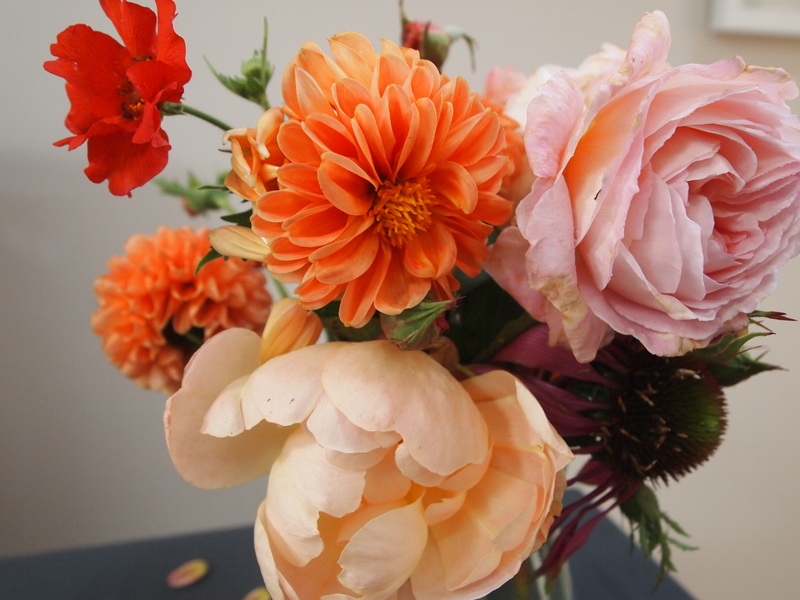 Dahlia mignon, David Austin Roses, Echinacea purpurea, Geum "Mrs Bradshaw", in a vase on Monday, Rose "A Shropsire Lad", Rose "Lark Ascending"
Morning, can you see me out there? 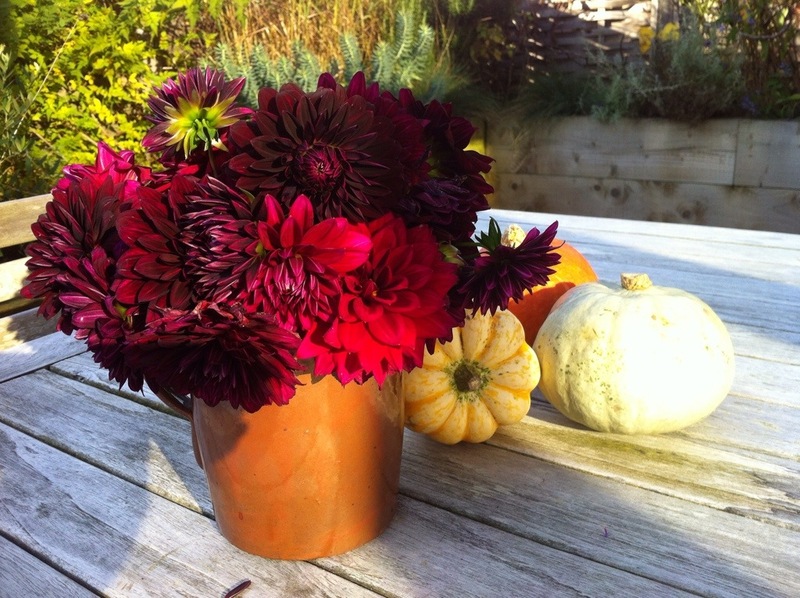 Today I am joining Cathy and fellow bloggers with a Monday vase. 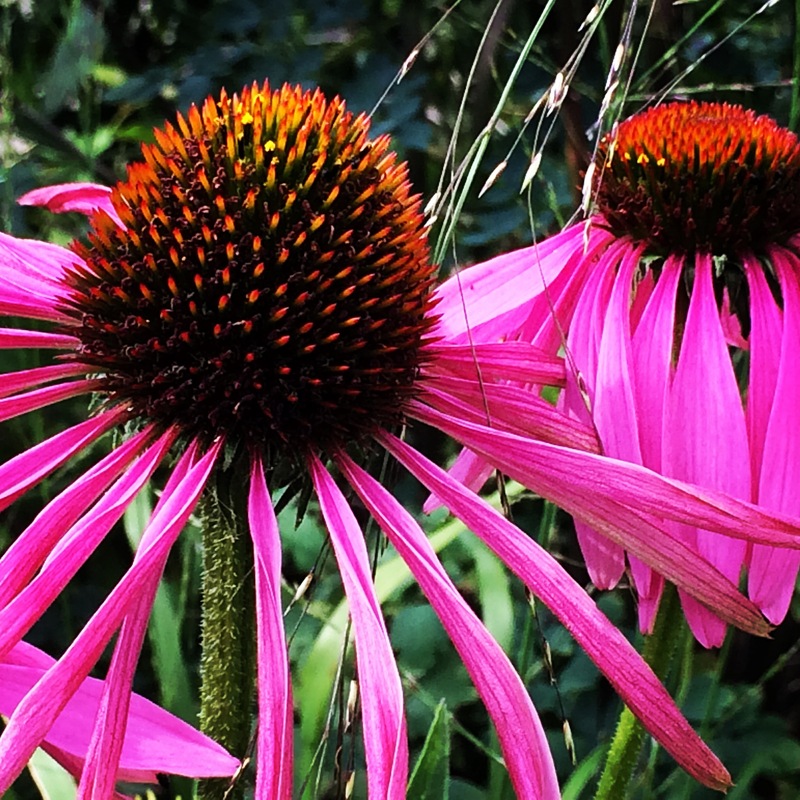 I have picked pink Echinacea and A Shropshire Lad, rose. 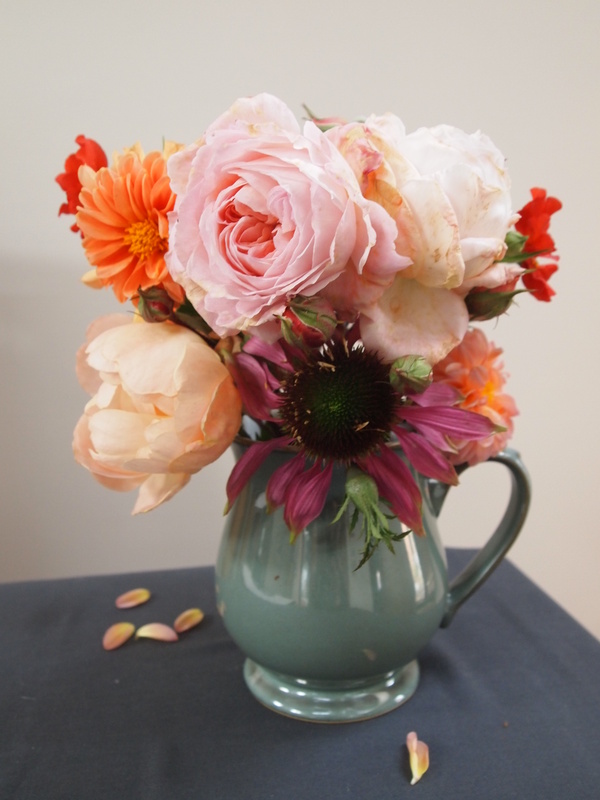 Lark Ascending rose mixed with Mrs Bradshaw Geum and small head dahlias labelled merely as “Mignon”. These offer shades of soft peach through to strong orange. By contarst to my weekend post entitled Boo! The biggest difference now is that the flowers have a tendancy to drop petals much more quickly when they come inside, yet I can hardly grumble, it is November after all.